Over the past several years, agriculture techniques have been developed that allow more precise lime, fertilizer, and pesticide application. Techniques for adapting crop-seeding rates to yield goals are now possible and will become more valuable as the technology advances. Drones allow public and private crop advisors to observe the crop from a completely different viewpoint. As this technology develops and research data sets are more complete, real-time in-season management will become more advanced as well. The Alabama Agricultural Experiment Station has made a large investment in the past 3 years in variable rate irrigation (VRI). Within the next year, VRI will be possible at the TVREC in Belle Mina, SMREC in Crossville, GCREC in Fairhope, and WGREC in Headland. Currently, field scale, variable rate center pivot irrigation is being utilized at the EVSRC in Shorter, AL. Greg Pate, EVSRC director, has been working with Dr. Ortiz, Dr. Hagan, and others to conduct research that will make full use of this new technology. Our objective in 2016 was to assess the yield response of eight cultivars on irrigation depth. This publication is a joint contribution of Auburn University, the Alabama Agricultural Experiment Station, and the USDA Agricultural Research Service and National Soil Dynamics Laboratory. 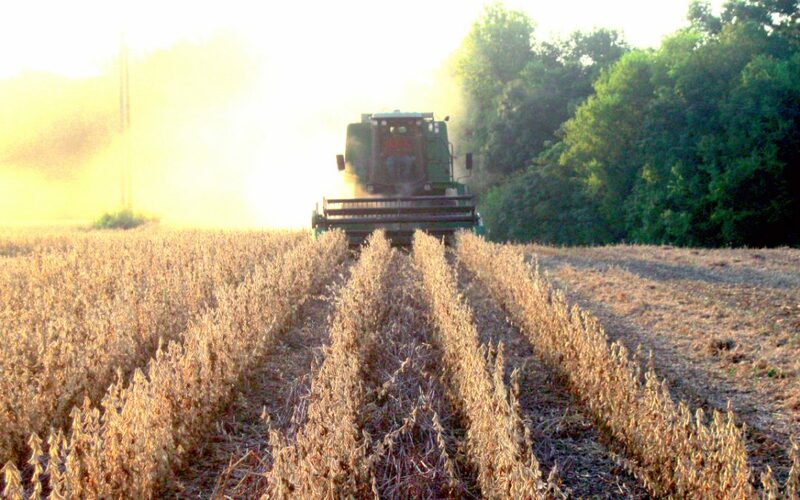 Research contained in AU Crops Research Reports was partially funded through the Alabama Soybean Producers, the Alabama Cotton Commission, the Alabama Wheat and Feed Grains Producers, and private industry grants. All funding is appreciated. Publication, display or distribution of data contained herein should not be made without prior written approval. Mention of a trademark product does not constitute a guarantee of the product by Auburn University and does not imply its approval to the exclusion of other products.